As a licensed massage therapist, I specialize in chronic pain and injury management using deep tissue massage therapy. Most of my clients come in with a common complaint: pain in the low back, hips (primarily on one side), and/or shooting pain or numbness down the back of the leg commonly referred to as sciatica pain. More than two million Americans suffer either from back pain or a form of sciatica that is often misdiagnosed and improperly treated. Many suffer from pain for months or years without a proper diagnosis. I work with these symptoms so frequently that I have noticed some common characteristics with this all-too-common pain complaint. Hip joint. Red: Piriformis muscle. Blue: Sciatic nerve. The most common characteristics I find are aggravated myofascial trigger points (TrPs) in the piriformis muscle. Piriformis trigger points are often confused for a herniated disc, sciatica, or other back issues, and many sufferers undergo unnecessary and costly tests, injections, and surgeries. The piriformis muscle is a small external rotator of the hip whose function primarily is to turn the knee and foot outward. It lies deep within the gluteal muscles, originates from the sacral spine, and attaches to the greater trochanter of the femur — the big bony “bump” on the outside top of the thigh. The sciatic nerve passes beneath through an opening called the sciatic notch. In non-weight bearing activities, foot unloaded and hip extended, the piriformis rotates the thigh outward. When the hip is flexed at 90 degrees it aids in hip abduction. Hip Abduction. In weight-bearing activities, foot loaded, the piriformis is often needed to control the rapid medial rotation of the thigh — for example, as the foot strikes the ground during walking or running, the knee turns inward. The myofascial sciatica pain component includes pain in the low back, groin, buttock, and hip. A trigger point may cause the muscle to compress and irritate the sciatic nerve, causing the pain to travel along the course of the nerve. The pain may radiate down the back of the leg and into the hamstrings, the calf muscles, and possibly the foot. The pain may initially be confused with a hamstring strain or diagnosed as true sciatica. Weakness, stiffness and a general restriction of movement are also quite common. Tingling, numbness, or shooting pains down the leg can also be experienced. Symptoms tend to be aggravated by prolonged sitting or by intense activity. Piriformis trigger points are predominantly caused by a shortening or tightening of the piriformis muscle. Piriformis trigger points are commonly associated with sports that require a lot of running, change of direction, or weight-bearing activity. 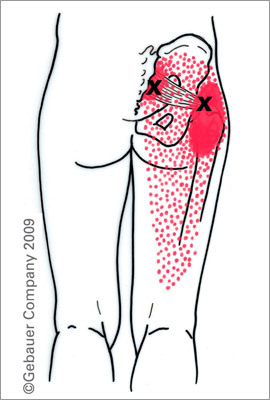 Piriformis trigger points can result from acute overload (as when catching oneself from a fall), from repetitive overload (as with the rapid internal rotation of the weight bearing experienced by walkers and runners with poor biomechanics), or from sustained overload (as when holding the leg bent and turned outward for prolonged periods while driving a car or working at a desk). Sciatica pain from piriformis trigger points is also a common complaint during pregnancy. The piriformis muscle is responsible for the symptoms of pain by projecting pain from activation of the trigger points and by nerve entrapment upon the sciatic nerve. Once trigger points are activated, the piriformis muscle begins to put pressure on the sciatic nerve. The sciatic nerve runs under (and sometimes through) the piriformis muscle on its way out of the pelvis. 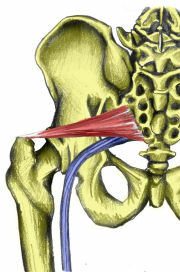 The piriformis muscle can squeeze and irritate the sciatic nerve in this area, leading to the symptoms of sciatica. The first two steps in treating piriformis trigger points can provide the most significant and immediate relief: deep tissue massage with stretching of the external rotators of the hip. Deep tissue massage techniques such as myofascial release and trigger point therapy are highly effective at reducing active trigger points. Once the trigger point is released, there will be a significant reduction in pain. Following up the massage with flexibility training will help loosen the muscle and help prevent a return of the trigger point and sciatica. I have found that it takes between four and ten massage sessions to move out of the acute pain phase from piriformis trigger points. It may be shorter or longer depending on the cause and severity of the initial injury. For long-term prevention of piriformis TrPs, self-myofascial release and flexibility will be your most invaluable tools. 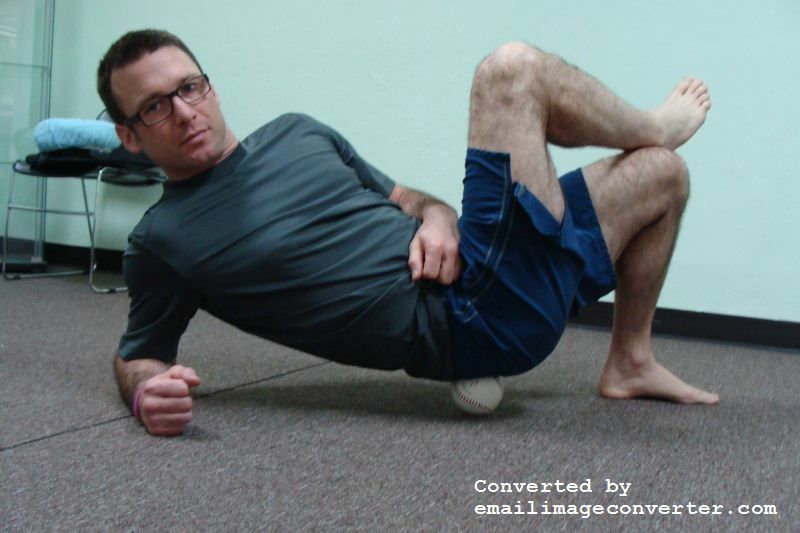 Below are some pictures of how to relieve piriformis TrPs using a ball (preferably a tennis ball for beginners) and how to stretch the piriformis muscle and other external rotators of the hip. With each stretch, it is important to breathe into the stretch and only stretch to slight discomfort … NOT PAIN. Self-trigger point therapy using a ball. Find a painful spot in the glutes, relax your body into the ball, hold the position for 30-60 seconds or until you notice a significant reduction in pain. Move to the next painful spot. 5-10 minutes total. Lying piriformis stretch. Place the leg you are stretching mid-calf on opposite knee. Pull opposite knee towards chest while at the same time pulling the knee of stretching leg towards opposite shoulder. Hold 30-60 seconds. 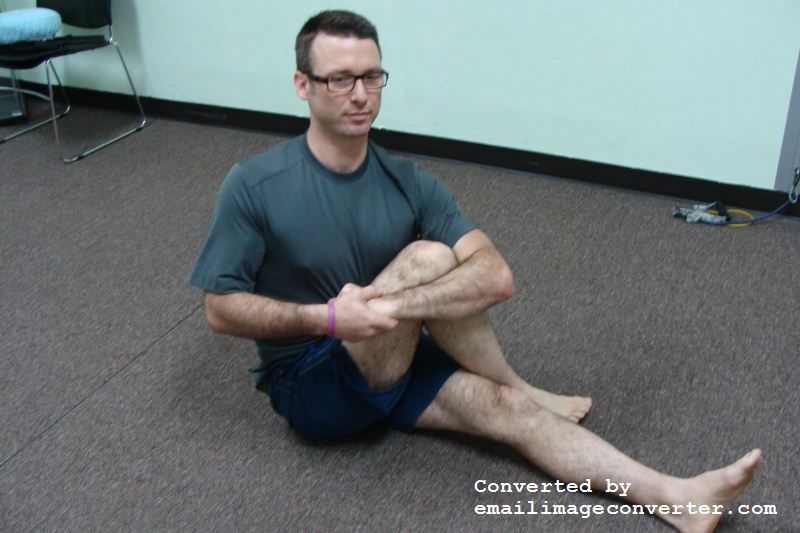 Seated gluteal stretch. Cross the leg being stretched over opposite leg. Wrap opposite elbow around the knee and pull towards opposite leg. Keep your back straight. Hold 30-60 seconds. 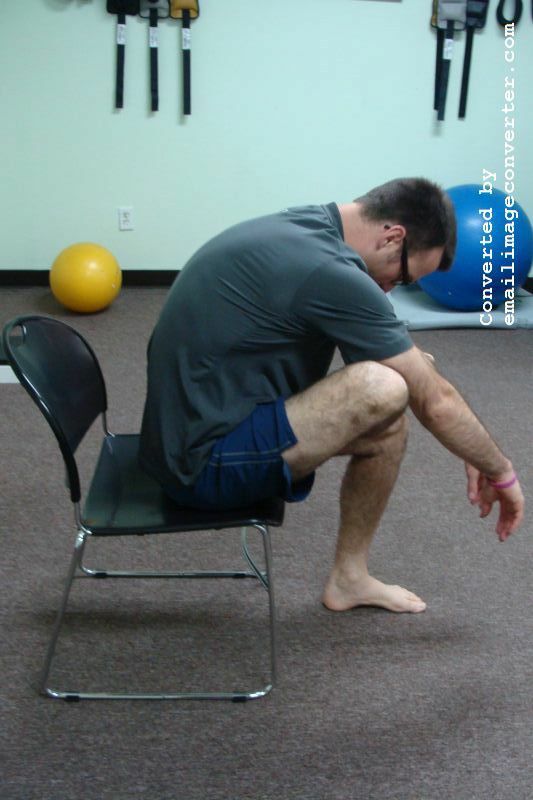 Seated gluteal stretch. Place ankle of the leg being stretched on opposite knee. Throw both hands over your leg, take a deep breath, and, as you exhale, allow your chest to drop toward the floor. Hold 30-60 seconds. Modified pigeon pose. Place leg being stretched on a table, couch, or bed with knee bent and opposite leg resting on the floor. Drop your chest toward to table. Hold 30-60 seconds. Get assessed by a qualified movement therapist. The exercises shown here are a guide to provide temporary relief. They are not a permanent fix. The underlying movement issues that are causing your piriformis to impinge your sciatica nerve need to be addressed. Find a highly skilled movement therapist in your area who can assess muscle function and gait mechanics. Our bodies were designed to move. It is important to keep moving. Try not to sit down for more than an hour at a time. Stand up, take breaks, go for a walk, and move your body throughout the day. Lack of movement causes muscle dysfunction. Proper movement is key to an active healthy life. With an exercise program that focuses on functional movement patterns with core strength and stabilization, regular full body massage (self-massage or professional), and full body flexibility you will reduce your chances for chronic pain and injuries. Change the way you walk and run. Heel strike is the most common dysfunction in running/walking gait. As soon as the heel strikes the ground, the knee rapidly moves into external rotation followed by rapid inward rotation. This places repetitive trauma on the piriformis muscle and leads to TrP formation and activation. I suggest hiring a coach who instructs forefoot or midfoot strike running form. Replace your shoes. Modern running shoes promote heel strike. I advocate shoes with as little cushion and arch support as your body can handle. Be smart with a shoe and form transition. Your body has adapted to how you walk and the shoes you wear. A fast transition without proper instruction and training raises your risk of significant injury. Below is a great article about what is wrong with your running/walking shoes. This is genius Jesse, as a barefoot runner I think I can attest to this displaced pain from time to time. And as someone who has a desk job I suffer from inflexible limbs etc. What a wonderful compliment. I will join that Facebook page and post my blog. Feel free to post it as well. If you ever have any questions about issues related to barefoot running, or pain and injury feel free to send me an email, comment, or post to my forum. Just wanted to say this is an excellent article. Although most of my clients seem to suffer from shoulder dysfunctions, I have treated many with piriformis syndrome and given homecare similar to your remex demos. I particularly like the use of the tennis ball. Your floor stretch and table stretch will be most useful additions to my recommendations. Thank you for the positive feedback. I am happy to hear it helps. I will be writing about shoulder pain treatments in the near future. Are there any specific issues you are dealing with? Well Jesse, I would say overstretched rhomboids and shortened pecs are the biggest issues. This seems to stem from hunched over computer work and poor sleeping patterns. Subscap HT and tenderness is also a big concern. I have advised clients on some pec stretches, but I am not well versed on rhomboid strengthening exercises or how to acclimatize my clients to lateral subscap work when they find it very painful. I will make an attempt to write a shoulder article in the next week or two. Thanks again for the feedback. Great piece of work, tips and solutions. I have suffered from this for 2 years – everyone thinking it was a previous disc/lower back issue. Worst is waking up in the morning and walking around like a 80 year old until things warm up. I will putting some of your tips to work. Great piece of work and wish you had a clinic in Australia would definitely by a client. Thanks you. Please let me know whether this helps or if you have any more questions. Hey Greg, I have had this for about 2 months, I’m finally learning its not a lower back issue. How long did it take for you to wake up in the morning with the limping around/muscle weakness? I feel mine is getting better, but I’d love to have a timeframe. Thanks! *without. I meant waking up without the limping. These were fantastic. I just did them in order and they are tremendous. I can now bend in a seated forward fold from my hips, and get my chest all the way (legs are straight) to my shins. Couldn’t do this until I did these sequencing. I will do these before and after I barefoot run. Trissa, thanks for the comment. I am happy to hear these exercises are helping. I will caution you on over doing it. The exercises in this blog post are specific to reducing piriformis pain. As the pain gets better, you will be more capable of integrating a full body massage, flexibility, and corrective exercise program. I suggest adding the exercises from both of these blogs into your daily routine. This was a great article on piriformis and sciatic pain. I am a licensed massage therapist in the State of WA. I have a small pain management practice in Coupeville, WA, and I deal with trigger point’s in the piriformis muscle all the time with my clients. Your article was great in explaining all the aspects of what the muscle does and how it can end up getting injured. I love the stretches that you demonstrate, I will share them with my clients if you do not mind. I look forward to your next article. Thanks for sharing. Excellent article! 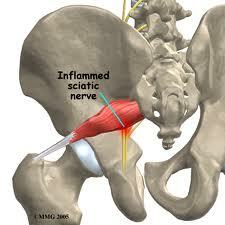 I have several clients who have suffered with sciatica/piriformis syndrome. I love it when I read a well-written article that supports the approach I’ve been taking, it reaffirms that I’m on the right track! The pictures are fabulous & great for client education. With your permission, I’d like to link to this article on my facebook page. Thanks for the comment. I am thankful this information resonates with you. Yes feel free to link my article. I agree that they definitely need to be done and that piriformis MUST be addressed but further clinical investigation into the cause of the tightening should not be forgotten. Why has it tightened, perhaps the gluteus medius is failing to function properly? This may need to be addressed prior to stretching. Yes, it is so very important to get the piriformis to release prior to doing any of the stretching. Otherwise, stretching will hurt and won’t be very effective. Also a good point about what else is going on in the hip that caused the issue to begin with. These self treatment exercises should help a person reduce their pain so they can perform corrective exercises, including flexibility. This is something I will definitely address more in future blogs. Thanks for this article Jesse. I am sure I will be forwarding this link to clients when they come with these all too common complaints. I am not a PT or massage therapist, but as a Pilates teacher, I find all your strategies to be key in keeping clients pain free and being able to progress with all the Pilates work. I have had this problem in the past and have been misdiagnosed as having a hamstring tendinitis and I was in agony for quite a while until I found the right practitioner. I also had a disc bulge, but the way I improved was Tr Ps release combined with stretching and corrective exercise to strengthen gluteals. In my case I also did some Mackenzie extensions as I did have a disc problem. Thank you for the comment. I am happy to hear this information will be helpful for you and your clients. I am a fan of McKenzie exercises as well. thanks for the article. I wonder if i have piriformis syndrome. I thought i had a hamstring inflammation. When my leg is bent more than ninety degrees for a few minutes, after i stand up, i cannot put weight on thé leg for about a minute. It feels cramped or inflamed, but the funny thing is that i can’t exactly pinpoint where – behind the knee or upper calf possibly. Then the leg is fine. Also, it doesn’t hurt when the leg is bent, nor upon straightening, only after, when i put weight on it. (it does also hurt a bit when i squat sitting on my heels with toes bent under me). I am recovering from a kneecap injury but this condition predates the injury by about a month. My MRI shows a crack in the anterior part of the external meniscus, but i don’t know if that was a result of the injury or an old condition. I have never had great knees. My physiotherapist does not know what is causing this condition in the back of my leg. I am planning to consul t an orthopedic surgeon, but i Will first try your suggestions. Without looking at you myself, I can’t really provide many suggestions. The pain you are describing may all be from the meniscal tear, especially the pain when pressing through your heels. Try walking on your heels, does this cause the pain? There is also probably some fascial adhesions around the back of the knee and around the knee cap. Getting a good fascial massage may help alleviate some of the pain, but if it is a meniscal tear, it may not get rid of the pain. Is the pain on the inside or outside of the back of your knee? What exactly was the knee cap injury? Thanks a lot Jesse. I think I just found out the cause of my recurring pain, somewhere around the area where the hamstring attaches tot the sitting bone. I thing the cause of irritation might be differences in outward en inward flexibility in the hips, leading to a somewhat uneven running gait, both barefoot and shod. I used to spend most of my sleeping hours on my left side and now make an effort to spend at least half op the time on my right side. I generally find that hamstrings are not a major problem area. Many people complain about pain or tightness in the hamstrings, but the problem comes from the front of the hips, hip flexors and TFL. Tight hip flexors pull the pelvis into anterior tilt. This changes the angle of the insertion point of the hamstring muscles placing them in a pre-stretched position. Since the muscle is being stretched while you are standing in a neutral position, as you flex at the hip it will feel tight and be more prone to strains and tears. For clients with hamstring complaints, I focus on releasing the hip flexor followed by stretching, and have had really good results. You can use the foam roller and a soft ball on the hip flexors. I do not have an article describing these yet. Now if you have a posterior pelvic tilt, then everything above does not apply. The majority of people have anterior tilts. It is a small percentage that are tilted posteriorly. Let me know how this helps. It’s great that you’ve posted such a complete resource for low back and sciatic pain. Even as a Certified Fitness Specialist I personally suffered for several years before I found the perfect combination (inversion, omega-3, myofascial release, stretching, core strengthening (in my case without any torso rotation) and spinal alignment) to fix my problem and get to a point of daily maintenance. I find relief from various isometrics and stretches, PT, dry needling, massage, and sometimes chiropractic when sciatic and piriformis get real tight in acute phase. My question to you (And I actually sort of know answer) is what do you do when sciatic is so activated that treatments and most stretches are not indicated? Keep in mind I am speaking about conservative treatments and not spine docs although in certain cases they can help (shots, extreme cases: surgery). My learning has taught me to get the inflammation down through NSAID’s and icing. I can do simple isometrics like tummy tucks and glut crunches, and the yoga position the child’s pose. Anything else until I can get back to massage and other regular stretches, yoga, pilates? How does the forefoot strike work with flatfeet with acute pronated gate? I find that issues of pronation and supination are caused mostly through wearing structurally supported shoes and heel strike. Since the heel is a hard and round bone, the foot will roll either inwardly or outwardly depending on whether you have muscle imbalance causing inward or outward rotation at the knee. Since the forefoot is flat, there is less roll that takes place through the foot. By adopting a forefoot strike gait pattern, you should have significant change or elimination of pronation and supination. I don’t consider being “flat footed” to be an issue. I believe it is a man-made-up diagnosis. We come in all shapes and sizes. Some people have low arches, some have high. I believe this is the way we are designed and the design is not flawed. If you have pain with your feet, it has more to do with postural dysfunction and imbalances in your body, especially in the arches of your feet. There is a small percentage of the population that may have true structural issues with their feet. For these people the use of orthotics is beneficial. But they are a tiny fraction of the populace. The rest of us just need to move differently. Here is an article I wrote awhile back that goes into heel strike compared to forefoot strike in more detail. I have been training for a marathon for about 10 months now (have run 2 half-marathons), and ran a 15K about 10 days ago. I scheduled a deep tissue therapeutic massage for 48 hours after the 15K, thinking it would be beneficial. At the end of this deep tissue therapeutic massage, my calves were really, really sore and my sciatic area started getting sore. The next day, I ran 7 miles at a very slow clip and towards the end, it felt like my knee wanted to give way (but no knee pain per se, just weakness), and my right leg felt weak. As the day wore on, my right calf, from just below the knee to just above the ankle had a constant tingling and weakness. It’s been like this for 7 days now. I saw a chiropractor who did Active Release Technique (ART) on my calf and kinseo taped it, which did not help. The only thing I can think of is this very, very hard deep tissue massage traumatized my already exhausted muscles (from the previous 15K race), and it was too much, but after doing RICE plus 8 Advil per day for a solid week and the tingling doesn’t go away, and it seems there is soreness in my sciatica area in the center of my upper buttocks area, that I’m not sure what to do at this point. I have no pain/numbness/tingling in my thigh/hamstring, just starting around just below the knee in my general calf area. The chiro did a full function test on my knee and says it works just fine. The chiro thinks its just inflammation trapped between the skin and the fascia, but the taping and ART hasn’t helped. Not sure what to do next. Thanks for the question. Sorry to hear about your injury. I have many more questions for you before I can really give you any decent advice. What is your current running schedule? Do you do any foam roller therapy? What is your injury history? Any other aches and pains along the way over the past 10 months? If you could answer these, I can get a better idea of where you are now. I would also suggest a phone consult. We can set that up after you send me the answers. The marathon is 5/20/12 (Cleveland Marathon). I am following Hal Higdon’s Novice I program, you can see the actual program here: http://www.halhigdon.com/training/51137/Marathon-Novice-1-Training-Program I am suppose to be on week 10, but I haven’t run since 3/14. I wear a neutral cushioned shoe with a Fleet Feet orange (mid-level support) orthotic for arch support as i had a bit of plantar fasciitis when I ran back in 98-99 (no plantar issues since). I have a running coach (top marathoner so I’ve had pretty good advice running-wise so far, even though I’m a rookie runner. I had a bout of a sore psoas that I went to a chiro who specialized in Active Release Technique (ART) and after two sessions, the psoas went from really sore to 100% overnight, very weird, but no complaints. No other running injuries or injuries otherwise. Greater Cleveland, Ohio. I would say my sciatica/sacrum pain is just to the right of the tailbone area, a few inches off center in the right upper glute area, no numbness/tingling at all in the thigh/hamstring, just in the calf, just below the knee to just above the ankle, seems like it’s a general buzzing/tingling, very-low level, it seems like maybe I feel it more at around just on the outside of the shin, about half way to the outside of the leg, more towards the ankle, but its like the entire leg feels weak. I can run on it, with no pain,(as a test, I’m not running now) it just feels unstable, tingly, etc. My knee and motion feels fine. I’ve been doing the Greg McMillian core strengthening exercises, I stretch after runs, and I’m 5’10” about 185 lbs (not your typical runners build. I am not a fast runner (a 10 minute mile per pace). I got a new pair of shoes, same model as my current shoes, about a month ago (brooks glycerin – neutral cushion), and the 2nd toe on my right foot (same side as the current leg numbness and the sciatica area is just right of center) started hurting, the 2nd toe during longer runs, the running store thinks it’s a bad shoe, but since I haven’t run in the past week, that pain went away. It only hurt when you pressed on the toenail itself, I could bend it, push on everywhere else and it felt fine (no long nail or anything, no bruising, no swelling, no toenail discoloration, no infection). I just got back from seeing a new LMT today, and after some light work on the sciatica area and lower leg area, no change. I’ve also tried icing regularly (in addition RICE), and so far, no change. I have a 8″ wide foam roller I have used on occasion for recovery. thanks in advance for your help Jesse. Sorry this went to the bottom of my contact bin. I have been playing catch up for the past couple week. It does sound like sciatic pain, even the pain. Have you had an MRI? I am not a big fan of the shoes you’re wearing, and in my opinion is a big contributing factor to both the sciatic and foot pain. Unfortunately, changing shoes at this point in a training program is not advisable. Getting some deep tissue fascial body work should be very beneficial. It doesn’t sound like the LMT you saw did this kind of work… it would not be considered light work. I suggest finding a highly qualified fascial therapist with experience working with runners and sciatic pain. Once you have completed this training, I highly recommend making a shift in the type of shoe you wear and hiring a running coach to address improving your gait. You will also find great benefit in your running by finding a great personal trainer who specializes in functional training for runners. Hope this helps. Let me know if you have any more questions. Appointment 29th, 4:00pm? Near Georgetown? I think one of my problems as a massage therapist is getting clients to actually DO the self-care at home. I think you have organized the information here in such a way that makes it easy for motivated people to follow. Half the battle is knowing how to do it (and being able to try it in the privacy of your own home! Thanks for the comments Charlene. Having the appropriate tools is a huge issue for the majority of clients. But you are right it is only part of the battle. “Doing”, in my opinion is only 10% or less of the battle, but a very important part. I have a feeling it is a common issue for all therapists to get their clients to apply the tools on their own. I try to focus on client education, teaching the tools. And gently reinforcing the benefits of applying those tools over time. Currenlty suffering “groin pull” feeling in addition to lower outside of calf, foot and sciatic twinges , so can’t wait to try these exercises! Thank you so much! Thanks Tom. Let me know how it works for you or if you have any more questions. Oh Jesse, I could actually cry I am so happy! I have had this on and off for years. I have always thought it was some form of disk issue and as I am in the RAF reserves I did not want to go to the Dr as it could mean that I would no longer be able to be operational. I really did it last week playing hockey and collapsed on to the pitch unable to move for 20mins. Now I finally know what it was! I feel so happy, I can start to work on it and get it sorted! Thank you so so much! Thanks for the positive feedback. I hope this is helpful. Please keep me updated with your progress. Hi: I found this article very informative and helpful. Thank you! However, I must report that it was actually changing my footstrike to midfoot that seemed to cause my piriformis pain. After I switched back to heelstrike, I stopped having problems. I know this is the opposite of the current thinking on footstrike, but I thought I’d share my experience all the same. Thank you for sharing. It is not uncommon to experience pain or injury when you change your running gait. There are a number of factors that can cause this: improper transition i.e. to much to soon or over-use; poor form; or signs of an underlying injury i.e. it was already in place and was just a matter of time before you felt it. My current opinion on what is the best gait mechanics at this point is fluid. I believe that a forefoot strike is optimal to a heel strike. However, I recognize that every individual is different and must make the best, most informed choice for themselves. There is no perfect way to run other than what works best for you. A couple of questions I would have for you are: How long were you running with a forefoot strike before you felt pain? Why did you make the transition? Was there a previous injury? Thank you sooooo much. I accidently hurt my hip while doing house hold chores and have been suffering from acute pain for the last two days.I google searched my symptoms and i chanced upon ur article with pics and all.I tried one of the release shown and it worked like magic. Thanks it was truly Godsend ur article. Thank you for the comment. I love hearing about how much these simple therapies impact lives. Let me know if you have any more questions. Sorry to hear about your fall. I don’t recommend a heating pad for the first week after the fall. Heat will increase the inflammation response. Without seeing you in person, it is difficult for me to give you quality advice for such an injury. I recommend getting checked out by a doctor, possibly getting some chiropractic care, and then massage. Good luck with your recovery. Jesse – thank you sooo much for putting this information up here! Out of the blue I’ve been suffering from excrutiating pain in the hips & glutes, radiating down the legs. Sitting was uncomfortable, lying down painful, and my nights sleepless. I knew from my chiropractor that the cause might be muscle tension, and tried a few hip flexor and piriformis stretches I knew. They worked, but only temporarily. Then I chanced upon your website. Stretch #4 did the trick for me, I was free of pain within minutes! Your information made all the difference for me! Great to hear Doris. Thank you so much for the feedback. Jesse, I have a problem which has developed rather suddenly. Even though I stretch and do 120 crunches daily, I am 59 and a woman, my lower back began to be tight, then my hips and now when I get out of bed in the mornings, I can’t straighten up and have to walk like Groucho Marks for a couple of hours because if I try to walk normally I get this painful nerve feeling in my left glute that makes me want to yelp in pain. What’s going on with me? Thanks for the great article! Your website is a boon to all pain sufferers and those wanting to avoid injury. I have tried doing all of the stretches you list for sciatica (except for the first one with the baseball) and I get a pain in the front of my hip where the hip flexor is located. My physical therapist couldn’t explain this to me. He just said that he gets that too with those same stretches. Do you have any ideas? Thank for your great website!!! Thank you Elisabeth. All of the muscles of your hip are intricately linked to each other. If your TFL, the muscle on the front of the hip, is tight, it may suggest that sided pelvis is more anteriorly rotated than the other. This could be a reason you’re getting discomfort and pain on the posterior side. I recommend doing full body foam rolling (link below), and finding a highly skilled fascial therapist to help balance out the body. I have a hip pain question..I cannot seem to nail down what it is. I am all too familiar with stress fractures, have had two in my heels (one in each), one in my shin bone, and one in my hip..all from running. The hip stress fracture pain area was exactly where you described. Now, two years later, I have a new hip pain which has limited me to the elliptical. It is more in the upper buttocks/lower back region, and hurts when I move that leg. Just rolling over in bed is incredibly painful. Given my experience in fractures, I am inclined to say that is what this must be, given the pain. However, I am curious if there is a way to tell a difference between a stress fracture and something involving tendons or nerves? I have tried self-massaging and do not feel too much pain even with moderate pressure. Thanks for your help. Trying to avoid the $800+ MRI just to be told it’s a stress fracture..with no real fix aside from rest. Let me know how your recovery goes. I would also suggest finding a highly skilled professional therapist to work with you through this process. Hi there, I’m a 21 year old woman that Is somewhat active and I have an landscaping job starting soon. Anyways I was playing with my nephew yesterday and I threw him up in the air and then I got a shooting pain in my lower left side of my back.. It has made my leg and hip hve a numbness to it and my back is very sore.. This has happened to me before and it went away within two weeks. What would you recommend that I do to help myself recover and help myself get better? Also do you think that I have just pulled my back out or do you think it is more serious? I have been dealing with this awful pain for 3 months now. Ive tried PT and cortisone shots. Nothing has helped. I was wondering if you could over stretch? I may be doing that and maybe thats why Im still hurting so bad. Any suggestions? Thank you. Yes, it is possible to over stretch. However, I and skeptical that over-stretching is the full reason you’re not seeing results. It may be that the area you are attempting to treat is not where the problem is coming from. Pain only tells us that there is a problem. It doesn’t tell us where it’s coming from. It’s possible that the source of your pain, is the musculature that is actually working well. I suggest finding a highly skilled movement therapist, instead of a pain specialist. Somebody who can assess and help correct movement dysfunction which is causing the pain. Let me know if you need any help finding a quality therapist in your area. Good luck. I just had to write and say THANK YOU! For more than 6 months I have been experiencing a lot of pain throughout my body, after running a marathon in October 2013. One of the issues was intense pain and tightness in my right hip flexor. As time went on it radiating down my leg to include, my hamstrings, adductor etc.. I have been through endless doctors, phys therapy, but no one could fix my problem. I have used a lacrosse ball and an Orb for soft tissue work before, but the mistake I was making that you pointed out, for glute, piriformis, sciatic and any other trigger point is to go EASY. Do not put intense pressure on the trigger points, which is what I was doing. Today I tried your method of easy pressure and waiting 30-60 seconds…and low and behold it WORKED! I just spent the last 2 hours getting rid of every single (I think) trigger on my right glute area (I had a lot). My hip flexor opened up right away and my hamstring tightness and pain went away!! You made my day/week/year!! Thank you so much!!! Great news. I’m glad to hear you got some much needed relief from chronic pain. However, there are a couple of things I would encourage you to look into. 1) Don’t get too fixated on releasing just one side or one area of the body. Self care will be far more beneficial if you work right and left; top and bottom; and front and back of your entire body. 2) Continue to seek help and guidance from a movement therapist who can help you assess why these muscles are compensating in such a way as to cause so much pain. This will help your body learn to move better with less pain in the future. Keep me updated. I look forward to more improvement. Jesse, I’ve had this for 3 months now and have been chasing the wrong treatment. PCP diagnosed me with prostatitis, long story short, I’m now with a chiropractor and am doing stretches and some strength training. My question to you is, I am about to ask my employer for a standing desk, would this be beneficial for me? And 2, What is the correct way to stand, as it hurts my lower back after awhile. I fear that my problem has become chronic, what is the average time of healing. I now have searing pain like ligaments are being ripped. What stage would you consider this to be? Hi Jesse, I’ve had the piriformis muscle/sciatic pain for the past 6 weeks. I’ve use the lacrosse ball, foam rollers for SMR, and stretching. The pain subside but returns. I was asleep last night when I woke with severe pain in my leg and could not get rid of it. I moved my leg in all types of positions when my hip popped and the pain went away. Just curious as to why this occured? If you have any insight it would be greatly appreciated. Thanks for the comment. It sounds like in addition to whatever is causing the piriformis/sciatic pain, you also have some hip compression going on. By applying mobility to the hip, it may have allowed the hip to decompress. This is simply a guess. Without being able to assess you in person, it is the best I can offer. I wrote this article a few years ago. I continue to find that the piriformis is a big player in sciatic pain, but I have also learned that there are quite often deeper relationships at play. Hip compression and pelvic floor facilitation are the two most common issues I come across. Both of these issues have a higher hierarchy in stabilizing the pelvic/hip region than the piriformis. Sometimes the issue is actually an inhibited piriformis, which means that performing a piriformis release as described here will only offer temporary results or none at all. I highly recommend finding a highly skilled Movement Therapist who can assess pelvic floor, hip compression, and piriformis issues. If send me an email with your location, I can see if I have a good referral fo you area. I have had sciatic pain for years and have done a decent job of managing it. I recently discovered I had plantar faciitis. I am on my feet a lot and have started a workout routine and bought several models of brooks shoes since I have heard they are great for PF. Well, I feel like they aggravate my sciatica. Any chance you can recommend some shoes that might be good? i was wondering if any one could tell me why and if anyone has pain going on the pain when walking up the stairs or do something ? because i get it but it comes and goes. Here are some good supplemental movements for back pain. Hi Jesse! Thanks for the blog. I was working with a client yesterday with sciatic pain. 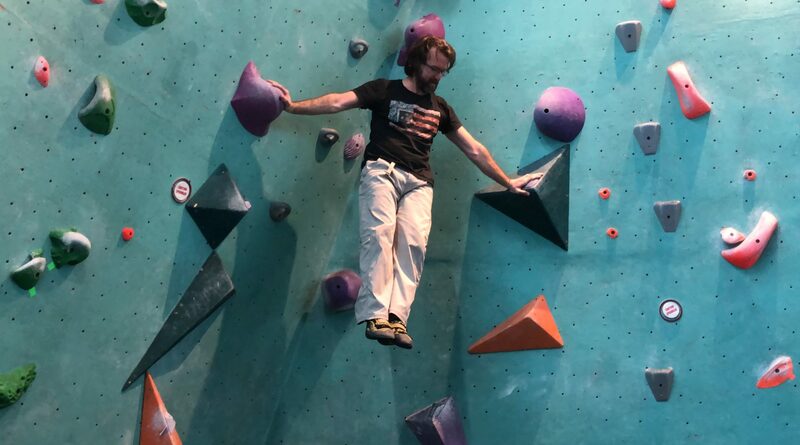 What ended up relieving the pain was a psoas positional release, much like the 2nd and 5th stretch images in this blog. I’m going to forward this blog to my client. Thanks again! Great find. Thank you for the comment. This post is so old, I would love to come back and revisit this topic again.